Hamas on Saturday slammed the accusations leveled against the Qassam Brigades as malevolent attempts aimed at defaming the Palestinian resistance. 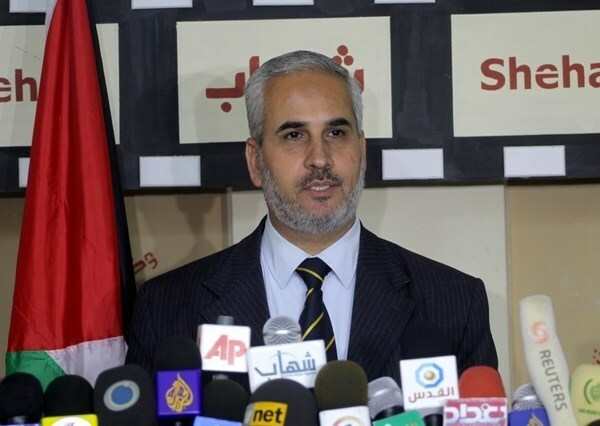 Hamas spokesman Fawzi Barhoum denounced an Egyptian lawsuit that seeks to ban and designate the Ezzeddin Qassam Brigades, Hamas's armed wing, as a terrorist organization. "The Cairo Court for Urgent Matters' decision to accept a lawsuit that calls for banning Hamas's armed wing, the Ezzeddin Qassam Brigades, and its designation as a terrorist organization is aimed at defaming the Brigades," Fawzi Barhoum said in a statement. He also spoke out against what he described as lies and incitement by some ill-famed Egyptian media outlets and attempts to drag Hamas into political conflicts. "Sadly, these stances are consistent with those adopted by the Israeli occupation against the Palestinian resistance and our offspring in Occupied Jerusalem," he added. He vowed that the Palestinian resistance will always stand firm in the face of such smear and ad hominem campaigns. Friday prayer imam of Tehran Ayatollah Ahmad Jannati strongly denounced the Egyptian army for closing the Rafah border crossing with the Gaza Strip and displacing its citizens in the Sinai to establish a buffer zone with the besieged Palestinian territory. According to Iran's official news agency IRNA, Jannati said in his Khutba (sermon) that Egypt's establishment of a buffer zone on its border with Gaza would do a great service to the Israeli occupation and increase the suffering of the population in the post-war Strip. 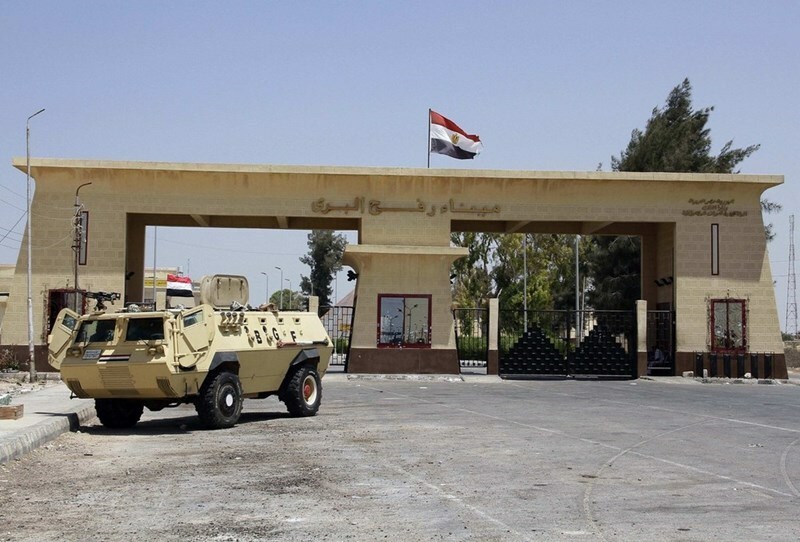 The Egyptian army closed the Rafah crossing between its territory and Gaza following a deadly attack by an Egyptian armed group on soldiers in northern Sinai on October 24. The army has also embarked since then on destroying homes of Sinai natives near the border with Gaza in order to create a one kilometer buffer zone at the pretext of stopping the infiltration of "terrorists" to the country. Director of the UNRWA operations Robert Turner said the buffer zone, which Egypt is creating on the border of Gaza, would lead the Palestinian population to feel like being in a big prison, describing the blockade as "unjust and deadly". Turner added that Egypt's buffer zone would have a psychological impact on the population in Gaza, although it would not affect the humanitarian services provided by the UNRWA. Turner made his remarks in a news conference on the sidelines of the meeting of the UNRWA advisory commission that was held on Monday in Jordan's Dead Sea area. For his part, UNRWA commissioner-general Pierre Krahenbuhl highlighted during the commission's meeting the tragic living conditions of the population in Gaza. Krahenbuhl criticized the reconstruction efforts as "much too slow and largely ineffective", and called on the Palestinian government to speed up these efforts and Israel to allow the needed building materials into Gaza. "We will reach the winter with no progress in rebuilding the homes of the many still displaced, including those still in UNRWA schools. The people of Gaza deserve much better and much more than that,” he stated. "This should not be a time for wait-and-see attitudes on anybody’s side. The actors who agreed to the temporary mechanism should be held accountable for its implementation. 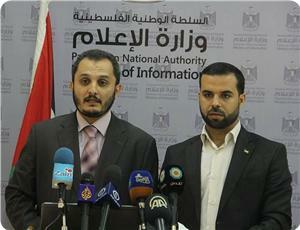 Time is running out, tempers are rising in Gaza and people are desperate," head of the agency emphasized. Campaigners of the anti-“Sissi Wall” on Sunday slammed on their Facebook page Egypt’s ongoing construction of a separation fence along the Gaza borders. The statement called on the international community to immediately intervene so as to stop the construction of such a buffer zone and thwart the Sissi bid for the construction of an apartheid wall that would impinge on the deep Egypt-Palestine fraternity bonds. The fall of the Berlin Wall embodies a universal attempt to sever all connections with dictatorship and discrimination perpetrated on the basis of the geo-political disparities between the peoples of the same nation, the statement added. 2014 celebrates the 25th anniversary of the fall of the notorious Berlin Wall, whose destruction marked a shift to another stopover in the modern history of democratization. Observers dubbed the Sisi wall an Apartheid barricade aimed at boosting the tough siege imposed by the Israeli occupation on Gaza for seven uninterrupted years. Egyptian president Abdul-Fattah al-Sisi on Monday said that his country would take further measures to evacuate the border area with the Gaza Strip as well as compensate residents in the area. In a televised speech, Sisi said that he would compensate the affected residents in Sinai with nearly $150 million, warning against sowing the seeds of sedition between the residents of the Sinai Peninsula and the rest of Egypt. 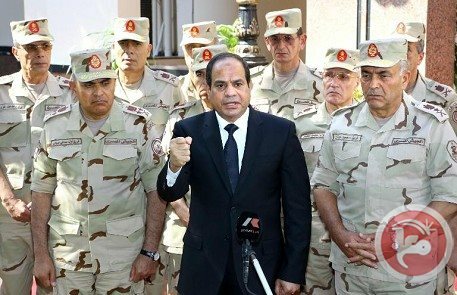 Sisi hailed the residents of Sinai for acting in what he described in a "patriotic" way following the deadly attack on army troops in Sinai on October 24. The attack, which took place in the city of Al-Arish, left 31 Egyptian troops dead and 30 others wounded, triggering a massive military campaign in Sinai, including the evacuation of scores of families living on the borderline between Gaza and Sinai. 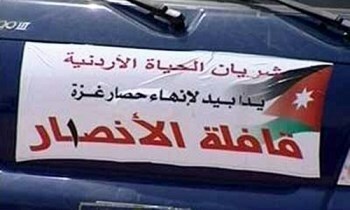 In another context, the London-based Palestinian affairs center warned of the serious repercussions of the Egyptian media incitement campaign against Palestinians, in reference to the recent Egyptian claims accusing Palestinians of being behind the bombing attack in Sinai on October 24. The center said that Egypt's media systematic incitement has been notably escalated recently aiming to arouse hostility against Palestinians inside and outside Egypt. This campaign threatens the lives of Palestinians, especially those who live in Gaza, the center added. The center pointed out that article 20 of the International Covenant on Civil and Political Rights, signed by Egypt, says that any advocacy of national, racial or religious hatred that constitutes incitement to discrimination, hostility or violence shall be prohibited by law. For his part, spokesman for Hamas Sami Abu Zuhri denied Egyptian claims that there are Palestinian detainees affiliated with the Movement in Egyptian prisons, describing them as media lies and fabrications. Abu Zuhri responded to Egyptian news reports claiming the arrest of a number of Hamas members in Egypt for being involved in the Sinai bombing attack. These allegations came as part of the anti-Palestinians incitement campaign waged by Egyptian media, he added. 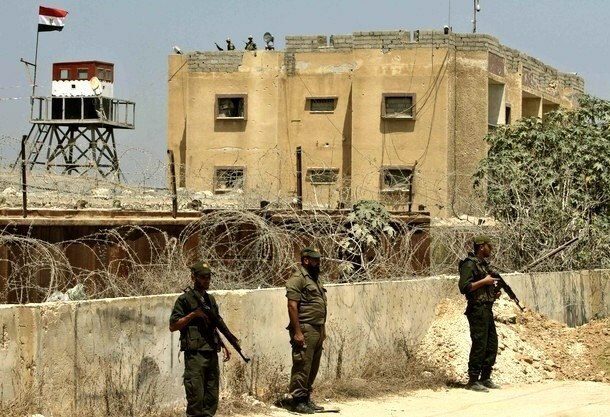 The Egyptian army on Tuesday evening demanded the residents of the northern neighborhoods in the Egyptian border city of Rafah to evacuate their areas in order to demolish their homes and establish a 500-meter buffer zone along the borderline with the Gaza Strip. 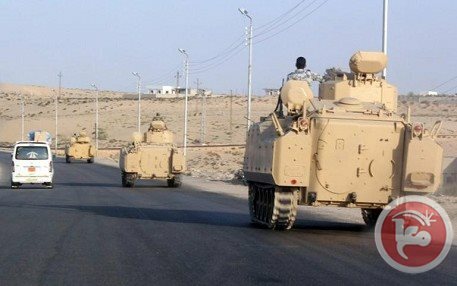 The Egyptian army, which started recently a widespread military campaign in Sinai following the killing and injury of many of its soldiers, said that the buffer zone, which will include water-filled trenches and an iron wall to thwart tunnel diggers, will be 500 meters wide and extend along the 13-kilometer border. The Egyptian step would lead to the displacement of Egyptian families in this restive area in the northeastern corner of the Sinai Peninsula. Egyptian security and military officials have accused Hamas of meddling in their country's affairs and supporting Sinai fighters to attack the army, but such claims were categorically denied by the Movement. Senior Hamas official Mousa Abu Marzouk reiterated in recent press remarks his Movement's keenness on Egypt's security and stability. "The only side affected by the security situation and events in the Sinai Peninsula is the Palestinians in the Gaza Strip, so no Palestinian has an interest in targeting the Egyptian army soldiers," he stated. The Palestinian ministry of interior and national security, in its turn, affirmed that the southern Gaza border with Egypt is always under its control and subject to strict security measures, and denied any Palestinian involvement in Egypt's internal events. In this regard, different political analysts expressed their beliefs in televised remarks that If Egypt created its buffer zone and secured its border with Gaza, the security problems in Sinai would continue to take place because the dangers threatening Egypt's security are internal and have nothing to do with the impoverished Palestinian Strip. 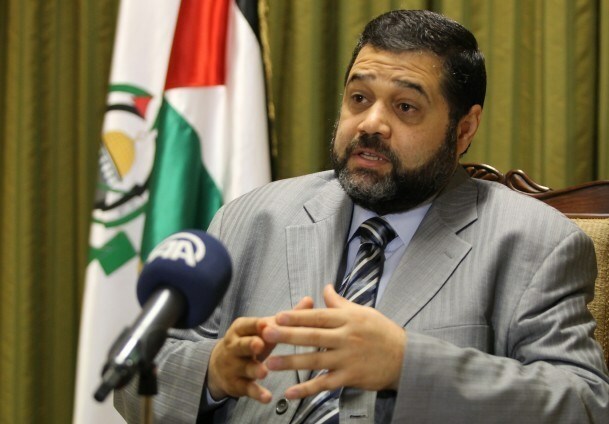 Director of Hamas's international relations Osama Hamdan said that the buffer zone which the Egyptian army intends to establish in Rafah border area would support Israel's blockade on the Gaza Strip and contribute to the incitement campaign in Egypt against the Palestinian people. In televised remarks on Sunday, Hamdan stated that Gaza and its people have nothing to do with any events happening in North Sinai governorate, affirming that the Palestinian side in Gaza is always keen on maintaining good relations with Egypt. He expressed his belief that Israel could be involved in the violent incidents that had happened in Sinai. As for the indirect ceasefire talks with Israel, Hamdan said that the Egyptian intelligence told his Movement that the coming round of negotiations with Israeli side would be postponed without giving reasons. The Egyptian army had declared its intention to establish a buffer zone with Gaza in the Egyptian side of Rafah area in the wake of the deadly bomb attack on one of its military posts last Friday. 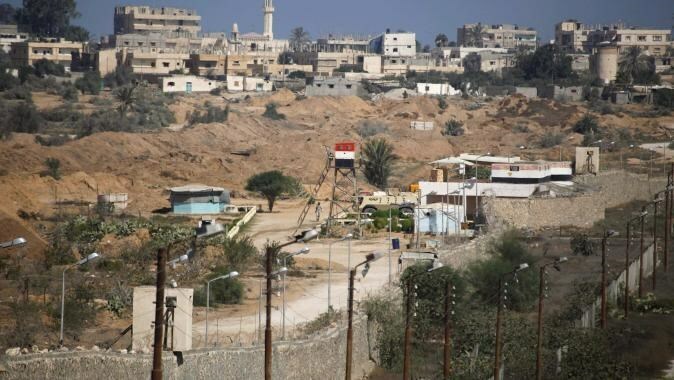 Egyptian authorities have announced a recent decision to build, along its borders with Gaza, a buffer zone with the depth of 500 meters, and a height of 14 km, with the aim of hindering militants from entering Sinai. A deadly assault occured in the region, this past Friday, in which some 33 Egyptian soldiers were killed, causing the border to be closed and delaying further truce negotiations until mid-November. The assault reportedly bore the marks of attacks claimed by Egypt's most active militant group, Ansar Bayt al-Maqdis. Egyptian president, Abdul Fattah Sissi, promised to take "many measures" on the border, now likely to be expanded in order to pursue militants and stop them from entering Egyptian land. Sissi expects additional aid from the US in stopping "terror" in Egypt. Egypt's President Abdel Fattah al-Sisi said a suicide bombing by a militant which killed 30 soldiers in the Sinai peninsula was carried out with "external support." Egypt imposed a state of emergency across parts of Sinai as the military pounded suspected militants after Friday's suicide car bombing. The suicide attack was the deadliest on Egyptian security forces since the army deposed democratically elected president Mohamed Morsi last year, to the fury of his supporters. The state of emergency in the north and center of the Sinai will remain in place for three months, the president's office said. 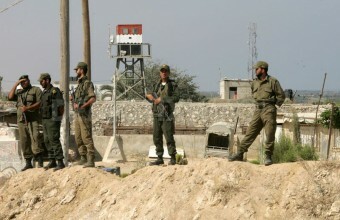 Witnesses told AFP that new security checkpoints were erected in Rafah and the north Sinai town of Sheikh Zuweid. "The army and police will take all necessary measures to tackle the dangers of terrorism and its financing, to preserve the security of the region ... and protect the lives of citizens," a presidential decree said. Despite killing or arresting many militants, the army has so far been unable to eradicate them in a massive operation involving attack helicopters and tanks. The military launched fresh airstrikes Saturday in northern Sinai, killing eight suspected militants, security officials said. Sisi, the army chief who toppled Morsi and was later elected head of state, chaired a meeting of the Supreme Council of the Armed Forces Saturday. After the meeting, the president said Friday's attack was carried out with "external support" in order to "break the will of the Egyptian people and army." "A committee comprising senior army officials was formed to examine the latest terrorist attacks in Sinai ... in order to reinforce the struggle against terrorism," a statement said. And the government announced a bill that would bring under the jurisdiction of military tribunals "matters of terrorism ... linked to attacks on army and police installations and personnel, as well as vandalism and the blocking of roads." The European Union and United States both denounced the latest incident, with the State Department saying "a prosperous and dynamic Egypt requires an environment of security and stability." In a separate statement, the US defense Department a strongly condemned the suicide attack and stressed its support for "Egypt's efforts to counter the threat of terrorism." Security officials said the 30 victims were killed when a militant rammed his explosives-packed vehicle into a checkpoint in el-Arish, the main town in north Sinai. Medics said 29 others, including a senior army officer and five others, were also wounded. On Saturday, the body of a soldier who disappeared after Friday's attack was found riddled with bullets, security officials said. Gunmen also shot dead an officer and wounded two soldiers Friday at another checkpoint south of el-Arish, security officials said. Militants in the peninsula have killed scores of policemen and soldiers since Morsi's overthrow to avenge a bloody police crackdown on his supporters. The violence has dealt a further blow to a tourism industry already reeling since a 2011 uprising that overthrew long-time president Hosni Mubarak. While south Sinai is dotted with tourist resorts on the Red Sea -- a popular destination for scuba divers -- the lawless north is a base for militants who have launched a wave of attacks, mostly targeting security forces. The peninsula's southern coastline has been largely spared the violence rocking the country since 2011, partly thanks to security checkpoints in the region. But it has not been completely untouched by the militants. In February, a suicide bomber killed three South Korean tourists in an attack on a bus in the south Sinai resort of Taba that was claimed by Ansar Beit al-Maqdis, the most active militant group in Egypt. After Friday's attack, Sisi announced three days of national mourning. It was the latest in a string of bloody attacks against security forces in Egypt. Many have been claimed by Ansar Beit al-Maqdis, which tried last year to assassinate the interior minister in Cairo. The group has expressed support for the Islamic State in Iraq and Syria, although it has not formally pledged its allegiance. The latest bombing came after an Egyptian military court sentenced to death seven members of Ansar Beit al-Maqdis Tuesday for deadly attacks on the army. Since Morsi's ouster, more than 1,400 of his supporters have been killed in a crackdown by the authorities. More than 15,000 others have been jailed, including Morsi, and over 200 sentenced to death. A state of emergency came into force on Saturday across much of Egypt's Sinai Peninsula after 30 soldiers were killed in a suicide car bombing by suspected militants. It was the deadliest attack on the country's security forces since the army deposed Islamist president Mohamed Morsi last year, to the fury of his supporters. The state of emergency, which took effect from 0300 GMT in the north and center of the Sinai, will remain in place for three months, the president's office said. A curfew is in force from 5 pm to 7 am. Egypt also announced it would close the Rafah crossing into the Gaza Strip, the only route into the Palestinian territory not controlled by Israel. "The army and the police will take all necessary measures to tackle the dangers of terrorism and its financing, to preserve the security of the region ... and protect the lives of citizens," the presidential decree said. The Supreme Council of the Armed Forces was due to meet on Saturday to decide what measures to implement under the state of emergency. The bombing on Friday was carried out by a suspected militant who rammed a checkpoint with his explosives-packed vehicle, security officials said. The attack, in an agricultural area northwest of el-Arish, the main town in north Sinai, also left 29 other soldiers wounded, medics said. A senior army official and five officers were said to be among those wounded. Gunmen also shot dead an officer and wounded two soldiers on Friday at another checkpoint south of el-Arish, security officials said. The attacks have dealt a further blow to a tourism industry already reeling after a 2011 uprising that overthrew long-time president Hosni Mubarak. The peninsula's southern coastline has been largely spared from the violence rocking the country since the 2011 revolt, partly thanks to security checkpoints in the region. President Abdel Fattah al-Sisi, the army chief who toppled Morsi and later won elections, has pledged to eradicate the militants. After Friday's attack, Sisi announced three days of national mourning and summoned a meeting of the national defense council -- the country's highest security body -- to discuss the killings, his office said. The European Union and United States both denounced the attack. "A prosperous and dynamic Egypt requires an environment of security and stability," the State Department said. In August 2013, just weeks after the army ousted Morsi, 25 soldiers were killed in the Sinai when gunmen opened fire at two buses transporting troops with automatic rifles and rocket launchers. 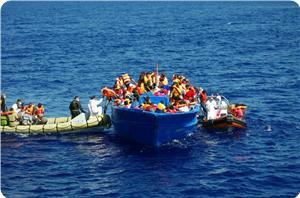 In July this year, 22 border guards were killed in the western desert near the border with Libya. From the desert and mountainous Sinai, which borders the Gaza Strip and Israel, the attacks have also extended to the capital and the Nile Delta to the north. Ansar Beit al-Maqdis tried to assassinate the interior minister in Cairo last year with a car bomb. The group has expressed support for the Islamic State group in Iraq and Syria, although it has not formally pledged its allegiance. While militants have been killed or arrested, the army has been unable so far to crush them despite a massive operation in which it has deployed attack helicopters and tanks. The latest bombing came after an Egyptian military court sentenced to death seven members of Ansar Beit al-Maqdis on Tuesday for deadly attacks on the army. Since Morsi's ouster, more than 1,400 of his supporters have been killed in a crackdown by the authorities. Over 15,000 others have been jailed, including Morsi and the top leadership of his Muslim Brotherhood, and more than 200 sentenced to death in speedy trials. A car bomb in Egypt's Sinai Peninsula killed 25 soldiers Friday, in one of the deadliest attacks against security forces since the military deposed Islamist president Mohamed Morsi last year. Security officials said the attack took place near El-Arish, the main town in restive north Sinai, revising an earlier toll of 17 killed and 22 wounded. Militants in the Sinai have killed scores of policemen and soldiers since Morsi's overthrow to avenge a bloody police crackdown on his supporters. 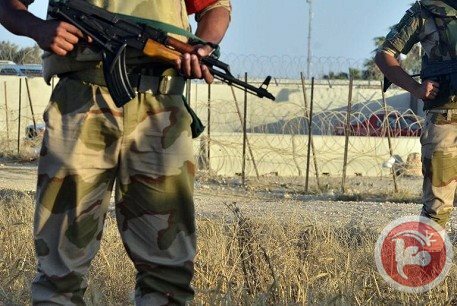 Egyptian border guards detained nine Palestinians on Thursday who entered the Sinai peninsula via smuggling tunnels, security officials said. 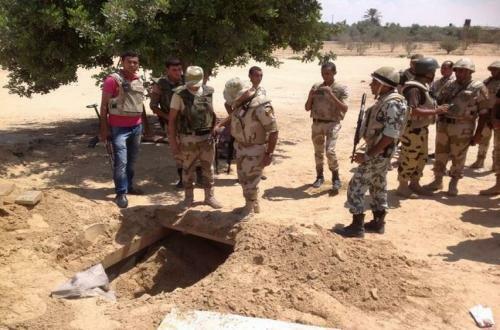 The men were arrested in a partially constructed property on the Egyptian side of Rafah and confessed to having entered via tunnels, officials said. A roadside bomb killed seven Egyptian soldiers and wounded four in the restive Sinai Peninsula on Sunday, security officials said. The bomb exploded next to an armored vehicle guarding a gas pipeline in north Sinai, the officials said. A Ma'an reporter in Sinai, meanwhile, said the bomb was hurled at the military vehicle in al-Sabil village south of El-Arish. Militants have killed scores of policemen and soldiers in the rugged peninsula as part of an insurgency ongoing for several years but which gained strength since the military overthrew democratically-elected president Mohamed Morsi in July 2013. A military official said first responders were still assessing the casualties. The attack came three days after a similar bombing killed two policemen in the north Sinai provincial capital of El-Arish. Militants killed 17 policemen in Sinai in two bombings in September and later released footage of the attacks. Those attacks were claimed by Ansar Beit al-Maqdis, the most active militant group in Egypt. It tried to assassinate the interior minister in Cairo last year with a car bomb. The Egyptian military has stepped up its campaign in recent weeks, claiming to have killed at least two top commanders. The militants say they target policemen and soldiers to avenge a bloody police crackdown on Islamists after Morsi's overthrow, which killed hundreds in street clashes and imprisoned thousands. The Muslim Brotherhood, however, has denounced the violence and stressed that the group has played no part in the attacks. But the military has widely targeted the group, and its weekly demonstrations against the 2013 ouster have been met with severe repression, with more than 1,400 killed and tens of thousands imprisoned. Critics says the crackdown on peaceful dissent has fueled militancy against the government and driven many Brotherhood supporters into armed groups. Egyptian authorities forcibly deported Monday 68 Palestinians to Gaza Strip after being arrested on the shores of the coastal Egyptian city of Alexandria while trying to reach Italy via a smugglers’ boat, media sources revealed. According to the sources, the 68 Palestinians were arrested off the coast of Alexandria. They were deported today to the besieged Strip of Gaza via Rafah crossing. Dozens of Palestinians were previously deported by Egyptian authorities after many of them sank off Italy shores in an attempt to reach the European continent. An official in Hamas Movement earlier declared that security services in Gaza Strip have made big efforts to put an end to this phenomenon. “A large number of migrants have been residing outside of the Strip for several years, particularly in Egypt,” he added. 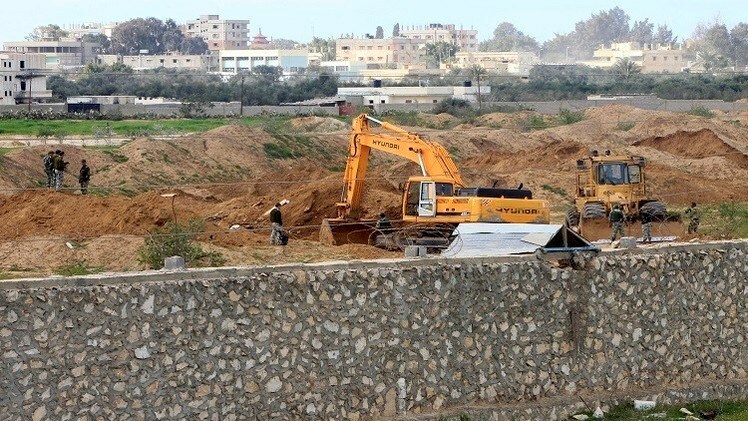 In Ghussain’s terms, a small number of citizens who left the Gaza Strip through illegal ways did so via tunnels dug up over the past few months, before authorities detected the tunnels and indicted the persons responsible for the affair. Ghussain held the Israeli occupation and the blockade responsible for Gaza’s economic breakdown and unprecedented upsurge in unemployment rates. He further slammed the international community for its silence vis-à-vis the siege and its reluctance to impeach Israel’s war criminals. He called for opening the Rafah crossing as an efficient way-out to smooth the access of passengers and goods out of and into Gaza and enhance the Strip’s work mechanisms. Ghussain urged the Arab countries to meet Palestinian refugees’ rights to live in safety and open up new prospects before Palestinian graduates as the only way-out of illegal immigration to the West. The Palestinian official denounced bidding and political exploitation of the cause, calling rather for pulling resources to work out the affair and mitigate Palestinians’ agony. 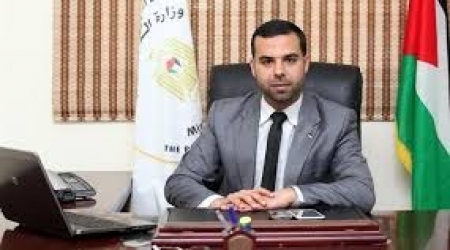 All of Gaza’s employees have been ready since the first days of the formation of the unity government to carry out their allotted missions and cooperate with it in the very best way possible, Ghussain emphasized. He hailed Palestinians’ determination to overthrow the Israeli colonizer and cling to every single inch of their lands until their last breath. The Maan News Agency has reported that one Palestinian was killed, on Saturday at dawn, and two were arrested by Egyptian soldiers as they exited a border tunnel in Sinai. The Egyptian army claimed the three tried to run back into the tunnel before the soldiers opened fire, killing one and arresting the two others. 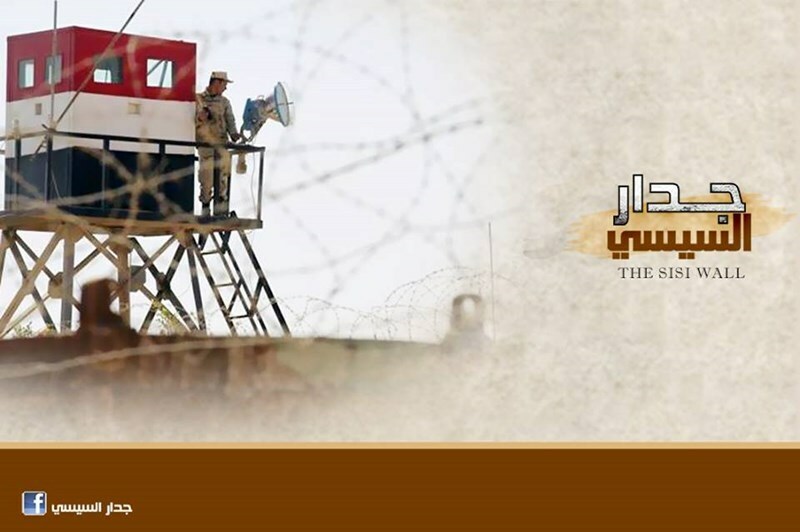 The Egyptian Security has asked the army to increase the alert level across the border area, reportedly after receiving info that armed groups, from different areas, intend to infiltrate into Sinai through border tunnels.